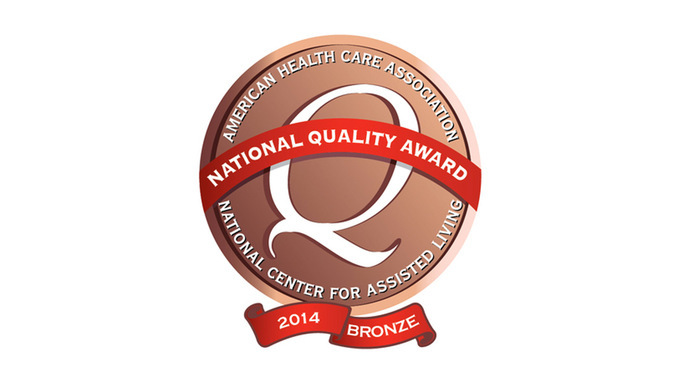 Franklin Ridge Healthcare Center in Franklin, Ohio received the Bronze - Commitment to Quality Award from the American Healthcare Association and the National Center for Assisted Living. This award is the first of three levels of awards given to participating nursing, skilled healthcare and assisted living facilities by the AHCA and NCAL. The award is based on Franklin Ridge Healthcare Center’s dedication to improving services offered to patients and families in their care. The Bronze level award demonstrates that Franklin Ridge Healthcare Center developed and implemented a mission statement that includes betterment of the facility, a higher awareness of patient expectations and an ongoing commitment to the improvement system provided by AHCA and NCAL. The Bronze – Commitment to Quality Award honors centers which have demonstrated a commitment to seniors and individuals with disabilities. This award will be presented to Franklin Ridge Healthcare Center during AHCA/NCAL’s 65th Annual Convention and Exposition October 5-8, 2014, in Washington, D.C.